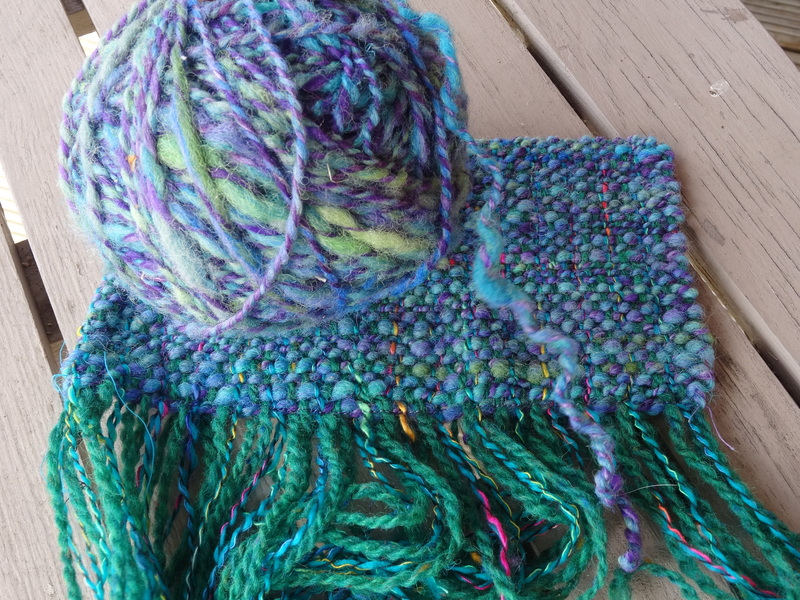 The singles yarn was plied with a purple wool and silk roving to give this softly spun yarn. The warp was two strands of green wool and two strands of rainbow acrylic yarn repeated across the warp. It is strange how the purple weft completely overwhelmed the green in the warp, although you can still see the acrylic yarn showing through. The warp was 14″ (36cm) wide and woven with a 7.5 dpi (30/10cm) reed. The dress has six panels giving it lots of flexibility and movement. Fully lined the dress just slips over your head and is really light and easy to wear. The pockets are sewn between the front and side seams. 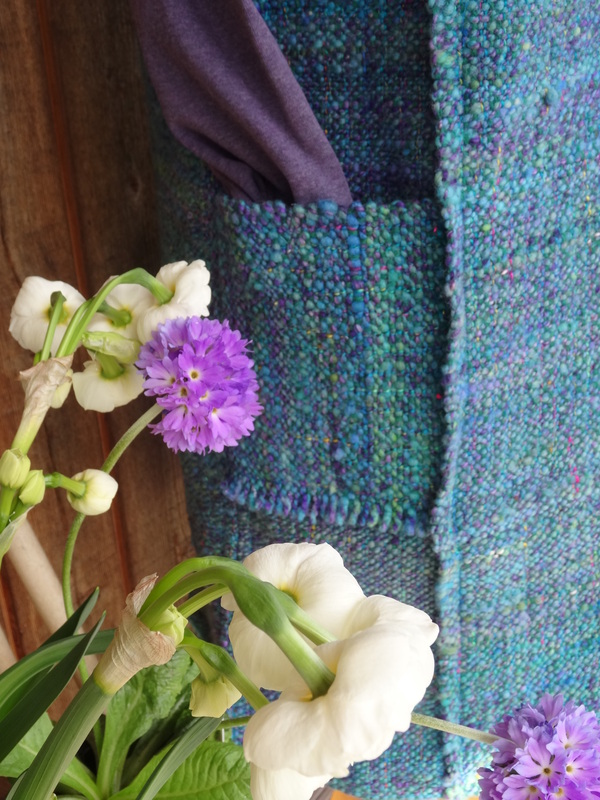 Turning the pocket sideways allows you to make the fringe from the weft yarn. 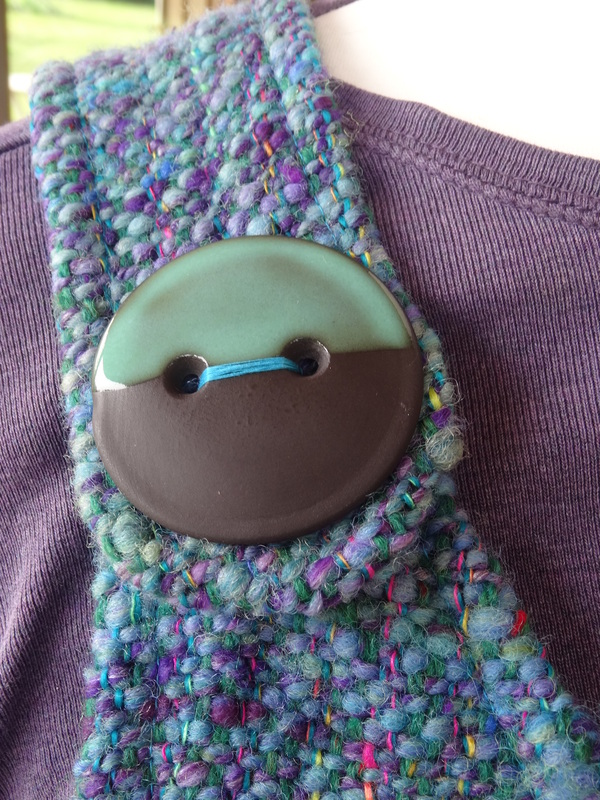 The shoulder seams are joined with these fabulous ceramic buttons made by a lovely chap called Jack Button who I met at Fibre East last year. All the seams were top stitched using a turquoise thread. 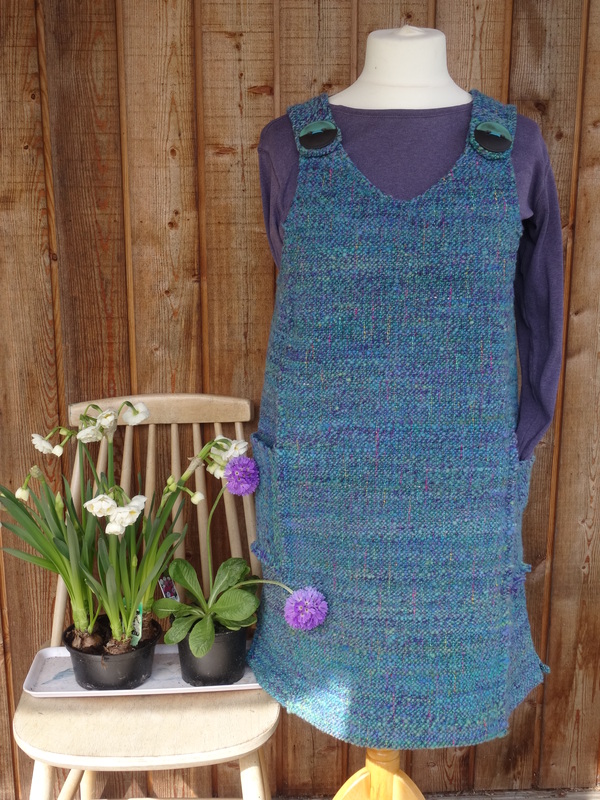 As you see it is great fun to wear and I shall be wearing it on our stand this weekend at WONDERWOOL which is held on the ROYAL WELSH SHOWGROUND in BUILTH WELLS, Wales. Come and find Sarah and I on Stand L2 in Hall 1. 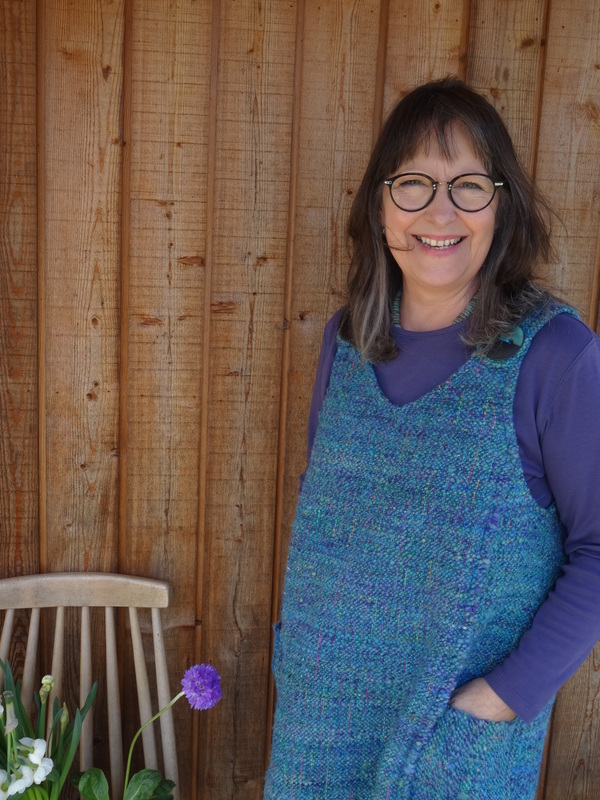 We will be there with lots of rigid heddle looms, hand woven clothes and our latest book GET WEAVING and we will be delighted to meet you. that is GREAT! I am impressed and sending this on also, nice job and love the buttons.